The sun is blaring, your Craigslist-purchased A/C is already acting up, and puddles of garbage are seeping onto the sidewalk -- summer is here and you’re likely ready for a reprieve from city living. Hopping on the Hampton Jitney or booking a train ticket out to the Jersey Shore for the weekend may be your first instinct to escape the heatwave-induced mania, but you actually don’t need to leave the city for a successful, tourist-free weekend getaway. Neighborhoods from the Bronx to Staten Island offer beaches, surfing lessons, outdoor excursions, historic architecture, and more alluring vacation town amenities -- i.e., everything you’d want from a weekend getaway, all available within the five boroughs. Take a day trip (or two) to these New York City neighborhoods that will fool you into thinking you left the city, all with a swipe of a MetroCard. Say no thanks to your friend’s boyfriend’s mom’s lake house two hours outside the city (before traffic) and get acquainted with this 253-acre island in the Bronx that rivals any seaside Maine town. To get private beach access on this bridge-connected fishing island, book a room or entire cottage on Airbnb, or commute to nearby Orchard Beach (a 10 minute drive or bike ride off the island). If you’re ready to work for your dinner, book a fishing charter with Island Current ($850 for 12 guests, including crew fees and materials) and head out to the ocean to lure the East Coast catch of the day -- think porgy, fluke, and more filets you’d typically see sold upwards of $30 on Manhattan menus. After the beach, leisurely stroll along suburban blocks with historic Victorian homes, shop for antiques and collectibles (at both legit stores and summertime stoop sales) on City Island Avenue, visit the Nautical Museum to catch up on up City Island history -- and, of course, eat. At the far end of the island, treat yourself to fried seafood at Johnny’s Reef, which overlooks the Long Island Sound. Save room for dinner at the Original Crab Shanty where, after a bit of a wait, you can sidle into a booth flanked by nautical decor and order a feast off a crab-shaped menu (four $80 varieties of the classic gluttonous spread include options like whole lobsters, crab legs, shrimp, scallops, baby back ribs, and more). For additional seafood cravings, head to City Island Lobster House for lunch (before 3pm) when you can enjoy a whole lobster (broiled or steamed) and plenty of other seafood dishes along with sides and dessert, for under $30. Bronxites commute to City Island to party at clubby waterfront restaurant Don Coqui at night, but if you’re in the mood for something a little more mellow, head to beloved dive bar Fella’s, where you can work up an appetite for one more plate of fried shrimp with darts, pool, and dancing to the jukebox with the help of some cheap beers. If long summer days have you longing for suburban life, head to the far stretches of Brooklyn to reach the manicured lawns of this neighborhood that could easily be mistaken for a quaint-yet-lavish Connecticut town. Ditmas is known for its historic district of almost 200 Victorian homes dating back to the turn of the century, and you can easily spend a day wandering around, lusting after the pastel hued tri-level, single-family homes colored by antique-looking shingles and dramatized balconies, expansive porches, pointed roofs, and brick chimneys. When you’re not busy ogling mansions, shop for local tchotchke at Brooklyn ARTery and cool apartment decor at nearby Caton Market. 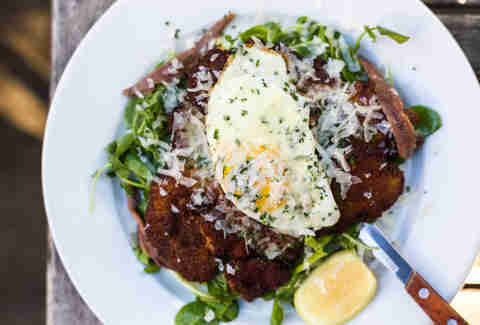 For food, head to neighborhood spots like the Farm on Adderley (a seasonal farm-to-table restaurant serving local produce long before it was cool), Sycamore Bar + Flower Shop (a combination cocktail bar and flower store known for its spacious backyard and summer parties), Hunger Pang (New American-style Chinese food, like pork and cheddar dumplings), Mondayoff (legit Thai street food) and more neighborhood gems. While there aren’t any true hotels in Ditmas Park, if you’re looking to spend the night, you can rent a room or group together with some friends to hole up in an entire Victorian home for the weekend. Known for its active Chinatown, Flushing boasts countless food stalls, mall food courts, dim sum restaurants rivaling the size of Barclays Center, and other treasures from all over China and beyond. Don’t expect the fancy smoothie-blending food halls of Manhattan’s Chinatown -- Downtown Flushing stacks old-school businesses on top of each other, creating a constant cluster of residents and visitors streaming up and down the sidewalks. 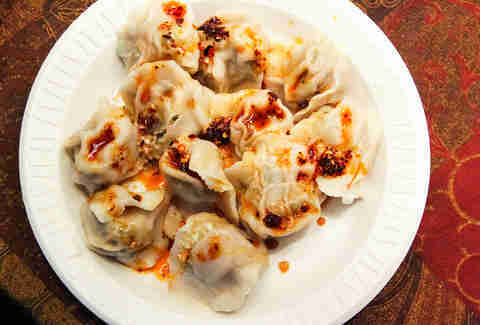 You’ll want to dedicate part of your stay to a dumpling crawl, hitting up White Bear for wontons in chili oil, Nan Xiang Xiao Long Bao for soup dumplings, and Dumpling Galaxy and its sibling restaurant, Tianjin Dumpling House, for whichever of their 50+ meat or veggie creations appeals to you. Note that an overwhelming majority of restaurants in Flushing are cash-only, so you’ll want to come with a stack of small bills to fund your dumpling excursion. Walk off all that food by exploring the various plant stores, imported foods shops, and other shopping destinations (don’t skip over the dollar stores and restaurant supply outlets that vend plenty of future gifts, either for yourself or the extremely hard-to-shop-for). Overnight, stay at the Hyatt Place Hotel, home to the popular rooftop cocktail lounge, Leaf, which shakes up Asian-inspired drinks like a chrysanthemum-infused Old-Fashioned. Before you head out, stop at Asian Jewels Seafood for Sunday brunch, where you can pluck as many steamed and fried creations as you can handle off the constantly rotating dim sum carts. Before your eyes gloss over at the idea of taking a mini-vacation to Staten Island, hear us out. Not only do you get to take a ferry there (aka New York’s best free BYOB booze cruise), you’ll also end up in a completely different time period when you make it to Historic Richmond Town, which dates back to the 1600s. 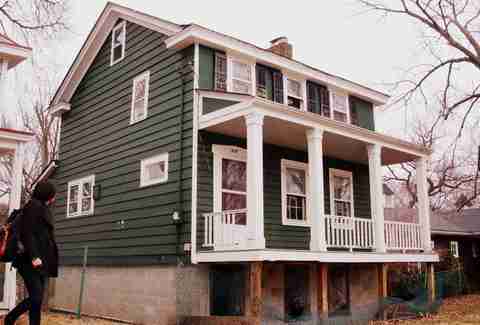 This preserved ghost town, which is technically a museum complex within the Richmondtown neighborhood, includes a farm from the early 19th century, plenty of historic homes, and tours that explore the food culture, architecture, political spirit, and more of centuries-old Staten Island. At night, head north to Lighthouse Hill and book a room inside Lighthouse Manor. Head up the hill for city views and visit the National Lighthouse Museum for photos that look like you zipped off to Nantucket for a Sunday. Remember that thing called nature that we so rarely see? The best reason to visit Staten Island is to get outdoors: Head to the Greenbelt Conservancy, which has six distinct hiking trails of varying difficulty. Put your tax dollars to good use and camp in the National Park at Fort Wadsworth, where $30 gets you primitive conditions that may just make that air conditioning-free subway seem that much better. It’s a BYO tent and sleeping bag situation, but borrow some gear and handle the elements like a pro before embarking on another day outdoors on this oft-ignored natural oasis. Transportation: Take the A train to Beach 90 Street, Beach 98 Street, Beach 105 Street, or Beach 116 Street, or you can board the brand-new Rockaway Ferry ($2.75 one way) from Wall Street or Sunset Park. 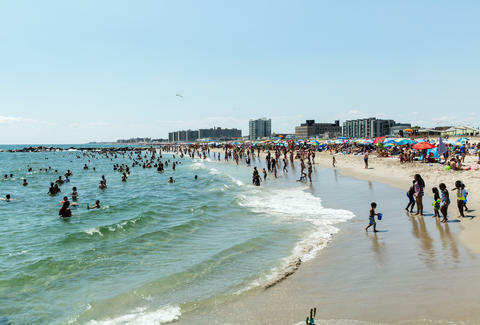 Though a day trip to this hip Queens beach may be the weekend norm for thousands of New Yorkers, making a full weekend of it will let you really delve into the surf culture and sun-soaking on the almost 2-mile stretch of beach. If you’re feeling nostalgic for childhood beach vacations at faded, sand-covered motels, check in to the D Piper Inn (rooms are $180 during summer) or consider renting a room or entire bungalow on Airbnb or HomeAway. Staying at Rockaway doesn’t just mean laying in the sand all day (though it totally can). If you’re looking to be a little more active, take surf lessons at surf schools like Aloha NYC, Locals, and New York Surf School, which all offer private and group classes under $100. You can also go on a jet ski adventure, go paddleboarding, and, of course, swim. A stretch of multiple days spent at the beach allows you to camp out in distinct parts; sunsoak for a day down at 97th Street -- often the most people-dense part of the beach -- and then head up to 107th Street, a further stop on the train that attracts thinner crowds but offers just as much sand, waves, and, importantly, indoor bathrooms. Both on and off the boardwalk, you can indulge in the Rockaways’ unique dining scene, like off-the-boardwalk, Bourdain-approved Dominican eatery Brisas Del Mar (known for its generous portions of flavorful Caribbean food at single-digit prices) and the rotisserie chicken-slinging Chicks to Go. Closer to the beach, grab a plantain and avocado-stuffed arepa (with extra yellow sauce) from Caracas at 107th Street, head down to 97th Street for nachos and burgers from Bolivian Llama Party, or venture down to 86th Street for hot dogs and beachy snacks from Rippers. Spending the night at Rockaway also opens the door to the neighborhood’s nightlife. Grab a drink (and a taco) at Rockaway Beach Surf Club or head out to Bungalow Bar for a lobster roll and frozen cocktail as you listen to live music and watch the sunset from the dock. Melissa is a writer living in New York City. Follow her summer staycations on Twitter and Instagram.